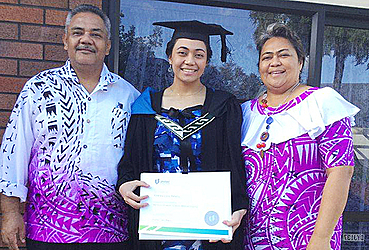 A proud Samoan, Andrea Peteru, celebrated sweet success last Wednesday when she graduated from UNITEC, Auckland NZ, with a Bachelor of Health Science in Medical Imaging. She has been blessed with a job as Radiographer trainee at Middlemore Hospital, Auckland. 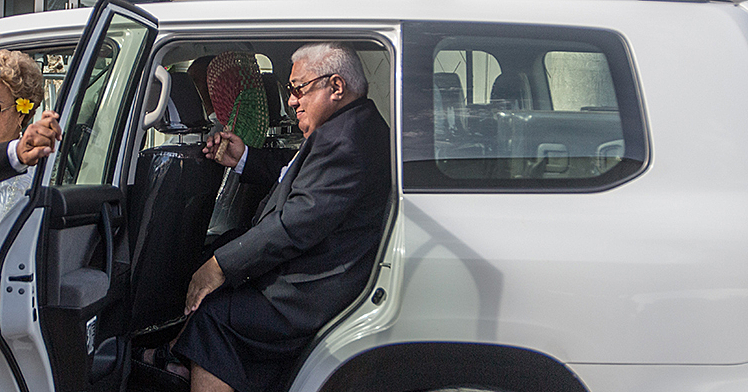 She intends to return and serve Samoa in the future doing the same work her father, Tanuvasa Jesse Peteru is doing; a radiographer. Her father runs the J’s Ultrasound Clinic at Savalalo. Andrea hails from Vaivase tai and Vailu’utai. 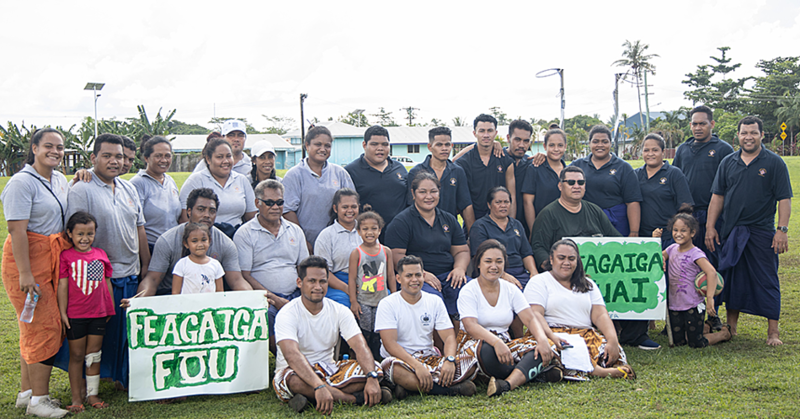 She went to Vaiala Beach School and then Samoa College. Graduate Andrea is pictured with her proud parents Latama and Jesse Peteru.